A recent article from Korean Yonhap News Agency noted that the 2oth anniversary reunion for S.E.S., one of the first female Kpop groups, will be held in 2017, which made me wonder which of the other early groups were still around. The average length of a Kpop group is around 5 years, although that number seems to have been trending upward lately. The first Kpop group in the narrower sense that we use today, as opposed to Korean popular music in the broader sense of ‘any popular Korean music’, was Seo Taiji & the Boys which debuted in 1992. A 3 member group consisting of Seo Taiji as the main vocalists and leader, with Lee Juno, and Yang Hyun Suk as backing vocals and choreography. Yang Hyun Suk is now the head of YG Entertainment, one of the top 3 entertainment companies in the Korean music business today. Seo Taiji and the Boys experimented by adding different styles and genres of western music into their songs. Their first song scored very poorly on a judged talent show, but went on to chart at no.1 for 17 weeks. Nan Arayo is still listed as one of the greatest Kpop songs of all time. They also used back up dancers and vocalists, as well as break dancers which was a first. After a while they began to lean more towards rock songs and controversial lyrics, which led to them being occasionally banned from TV. They had a large and very vocal fan base and led the way for all the groups that followed. They suddenly disbanded in 1996 and Seo Taiji went to the US for a while before returning to Korea to be a solo singer. Yang Hyun Suk became YG, and Lee Juno was a producer, although recently he was booked for sexual assault. Seo doesn’t want a reunion for the group. Turbo debuted in 1995, but were considered a dance group at the time and even nowadays some people tend not to give them their due as one of the originators of what Kpop was to become. Or perhaps it was because they were a duo, whatever the case if you look at My Childhood Dream, or Black Cat you can recognize elements still seen in the Kpop of today. Turbo disbanded in 2000, however they reformed in 2015 and will be performing in Las Vegas this upcoming Nov. Some say that the first true idol group was probably h.o.t. 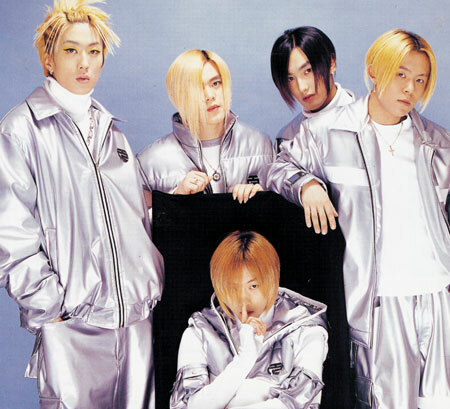 which debuted in 1996, with Sechskies following them in 1997. h.o.t. disbanded in 2001 and despite rumors of a reunion it has yet to happen. Both groups maintained a semi friendly rivalry and had huge numbers of devoted fans. If you want to check out some of their old songs they are available on Youtube. Try watching Candy, and Happiness for h.o.t. 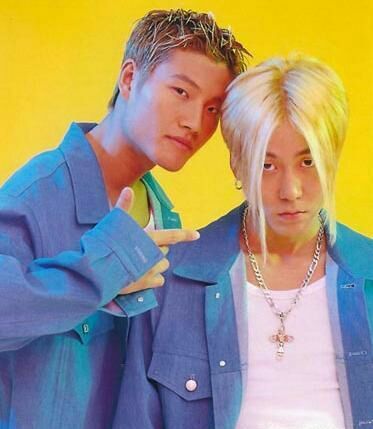 and Couple and Road Fighter for Sechskies. To everyone’s surprise Sechskies, who disbanded in 2000, were encouraged by a segment on Infinite Challenge to reunite for a 20th year guerrilla concert. This was so popular they signed with YG in May of this year (2016). They held a sold out concert on Aug. 11th, and released a digital single Three Words on Oct.7th. Missing one original member they are back, and managing just fine 20 years after helping pave the way for what Kpop has become. S.E.S. was one of the very first girl Kpop groups, debuting in 1997 and then disbanding in 2002, with occasional reunion like appearances in the intervening years. But now there’s solid news that they will be getting back together for their 20th anniversary next year. 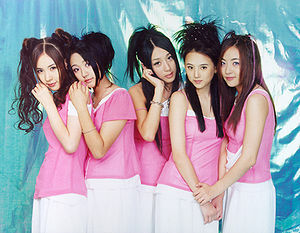 Other girl groups such as Fin.K.L 1998-2002-ish, Baby V.O.X. 1997-2006 (official), and Diva 1997-2005, a hip hop girl group were also instrumental in shaping Kpop. 1997 also saw NRG debut. A group that was known for high energy dance music and personal tragedy. One of the members, Kim Hwan Sung died, at the age of 19, before the release of their 4th album. He died of viral pneumonia and this obviously had a huge impact on the group. NRG’s debut song was titled Hal Soo Isu, (I can do it) and although popular did not reach no. 1 on the charts. Their first hit song, was ironically called Hit Song. The group had it’s ups and downs, with members leaving and the death of Kim Hwan Sung, and they eventually disbanded in 2006. They were the first Kpop group to actively promote in China and can be seen as instrumental in the start of the hallyu wave. It was recently announced that they would a fan meeting to celebrate the 10th anniversary of their dis banding. (Edit) It has just been announced that they will release an album next year. And then there’s Shinhwa, the longest running male group in Kpop, hard to call them boys, right, when they are all in their mid to late 30’s. Shinhwa debuted in 1998 and have been going strong ever since. They produced their 12th album in Feb. of 2015. Their early songs include Eusha Eusha, Resolver, and T.O.P. Their more recent songs include Alright, and Sniper, with lots of good songs in between. Edited to add. Two days after I write this Shinhwa announce the upcoming release of their 13th album. g.o.d just squeaks in as being a 90’s group as they debuted in 1999 and have never actually disbanded although they sometimes go a long time between concerts, the last one was in 2014, their 15th anniversary. ( Edited Nov. 4th.2016) g.o.d just announced they will do a nationwide tour in Korea the first two months of 2017. Fly to the Sky also debuted in 1999 and never officially disbanded, however they did go on hiatus for 5 years. They released an EP in 2015. So even if you weren’t around, or into Kpop in the 1990’s you can still enjoy some of the groundbreaking groups that played a formative role in creating the genres we all love so much today. Either by watching their old MVs or by catching up with the reunions and the groups that are still around today you can see the development of Kpop style and content. Some of those dancers and singers back in the day were pretty darned good. You may also be interested in Kpop Musings, KPOP:What is it really all about?, SHINee Shines Bright in Texas, Got7 Concert Review, Like Dance? Watch Kpop, parts 1 and 2, A Quick Look Back At The Top Male Rookie Groups of 2015, The Kings of Kpop, and Best Male Kpop Rookie Groups in First Half of 2016. ← SM Town COEXartium: In Photos.